Being very high in insoluble dietary fibres, sunflower seeds can support digestion to a large extent. The raw seeds can boost the functionalities of our gastrointestinal system and keep constipation away. Sunflower seeds are loaded with antioxidants like vitamin C, vitamin E, copper, selenium, etc. These antioxidants keep free radicals away and prevent blood cholesterol from oxidizing so that the blood vessels do not get blocked and we not end up suffering from ailments like atherosclerosis, blocked arteries, stroke, heart block, heart attack, etc. While averting cholesterol oxidization, sunflower seeds also lower the levels of bad cholesterol in bloodstream. They come packed with dietary fibres, phytosterols and unsaturated fats (both monounsaturated fats and polyunsaturated fats), which altogether work against bad cholesterol or low density lipoprotein (LDL). Intake of sunflower seeds is known to have great impact on our blood pressure levels. It is very high in potassium, which can easily offset the drastic effects caused in our body due to spikes in sodium level. As a result, our blood pressure doesn’t go up and we can stay away from the risk of hypertension. 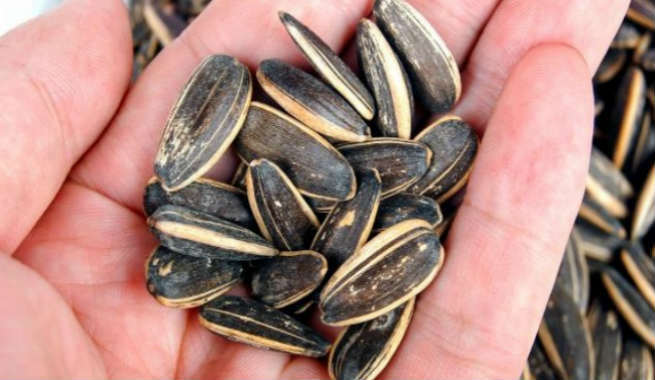 The antioxidant properties of sunflower seeds are excellent for decreasing cellular damage and sometimes even putting a stop to this completely. They also contain a few naturally occurring anti-carcinogenic compounds, such as phytosterols, lignans, etc., which play key roles in providing protection against breast cancer, prostate cancer and colon cancer by inhibiting the growth of cancer cells as well as destroying them totally to avoid further growth. The antioxidant properties of sunflower seeds are also beneficial for diabetic people. The raw seeds can keep our blood sugar levels under check and help our body maintain it steadily so that we do not experience hyper- or hypoglycemia. Sunflower seeds can take great care of our bones. Thanks to their high calcium and magnesium content that is essential for maintaining the physical structure of bones, making them strong and keeping the joints healthy. 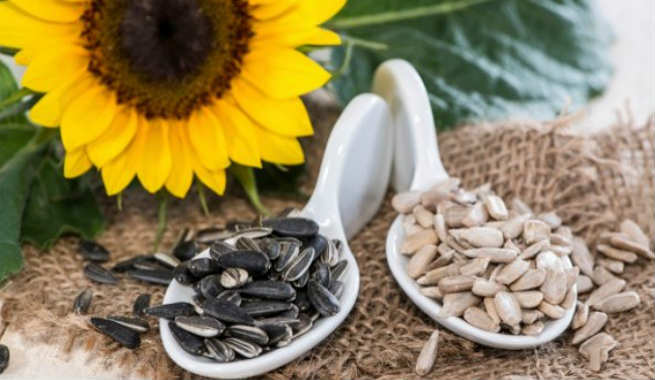 It has also been discovered that the copper present in raw sunflower seeds is crucial for activating the enzymes, which increase the strength and flexibility of our bones as well as joints by cross linking elastin and collagen (two active components of connective tissue). The vitamin E present in sunflower seeds has amazing anti-inflammatory effects on our body. Being a fat soluble antioxidant, it can protect us from oxidative damages, which eventually keeps us safe from various inflammatory diseases like asthma, rheumatoid arthritis, osteoarthritis, etc. The high magnesium density in sunflower seeds is good for our nerves too. It puts calcium off from rushing into the neurons and also triggers their normal activities. These are crucial for keeping the muscles as well as blood vessels relaxed leading to a calm and relaxed nervous system. Munching on sunflower seeds can make your weight loss journey easy and smooth. It is quite nutritious and keep us full for a longer period of time, which is very much required for effective weight loss. 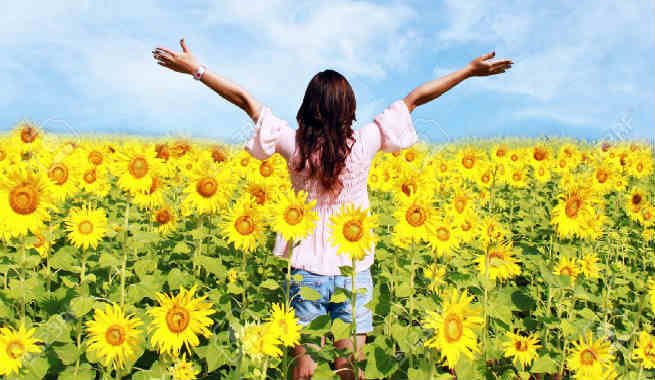 Consumption of sunflower seeds is closely linked to our mental health and that too in a positive manner. They contain an essential amino acid called tryptophan, which helps us get rid of stress, tension and anxiety by facilitating the release of a neurotransmitter named ‘serotonin’ in our body. It promotes brain relaxation, lowers depression and makes our mood better. The vitamin E-rich sunflower seeds are considered as a potent natural remedy for premature aging. They provide protection to our skin from free radical damages, sun damages and environmental damages, which is essential for averting signs of aging and keeping the vitality of skin intact. The copper in the seeds can facilitate melanin production in our body, thereby shielding our skin against the harmful effects of ultraviolet rays of the sun and maintaining them as healthy as possible. The essential fatty acids (linoleic acid, palmitic acid, oleic acid, stearic acid, etc.) in the seeds have powerful anti-bacterial properties, which wards off breakouts, infections and other skin issues. Being rich in nutrients, sunflower seeds can be a super food for our skin. It provides enough nourishment and moisture to our cells to keep our skin soft, supple, smooth and healthy. Sunflower seeds can promote the growth of our hair dramatically, thanks to its zinc and vitamin E content. Both of these components are capable of boosting blood circulation throughout our scalp, thereby stimulating the follicles to a large extent. The seeds are enriched with vitamin B6 or pyridoxine, which increases zinc absorption in our body and supplies much more oxygen to our scalp. These cause lesser hair fall and give us relief from acute hair loss. The essential fatty acids, especially onega-6 fatty acid, make sunflower seeds a good natural hair moisturizer. It restores the lost moisture of hair strands, prevents them from turning dry and reduces split ends, thereby promoting healthy hair. Just try it and your entire body will thank you!